Our quick-release billet aluminum mounting brackets are accepted by most race-sanctioning bodies and clubs, including NHRA, IHRA, NMCA, NMRA, NSRA and MTRA. 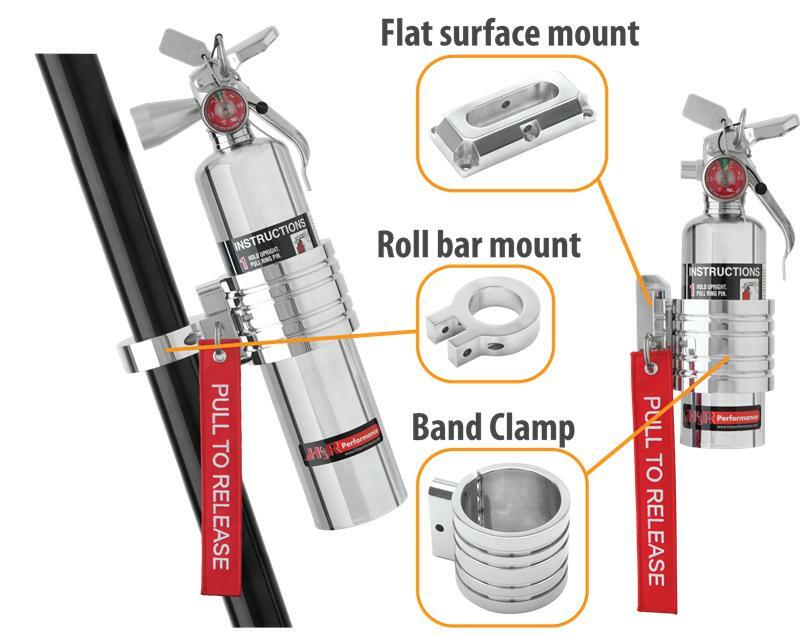 Band clamps fit 1.0, 1.4 and 2.5 lb. 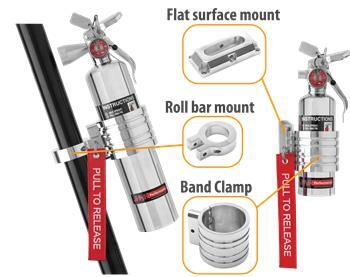 H3R Performance fire extinguishers, and are to be combined with the flat surface or roll bar mounts. Available in polished and brushed finishes.